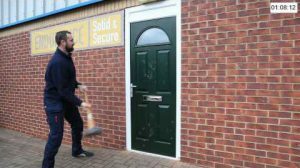 Our sentry doors make an attractive and secure front door at the entrance to any home. Coloured, wood grain effect finishes with superior quality and craftsmanship in every detail. The UPVC Company offers both solid panel and glazed style entry doors. The UPVC Company’s front doors are manufactured to the very highest standards using PVCu, which is reinforced with galvanized steel to give even greater durability and strength. The UPVC Company’s latest door locking systems make your home safer and more secure than ever. The UPVC Company’s double glazed units, double door seals and insulated moulded door panels dramatically reduce draughts, so saving you money and the planet’s resources. With a range of door styles to choose from, from single solid panel to clear glass and patterned glass (just as you can for your double-glazing) you can design the focal point of your home to suit your style. Make your choice of front door style and then browse the wide selection of colour, glass and accessory options to create the right look for your home. 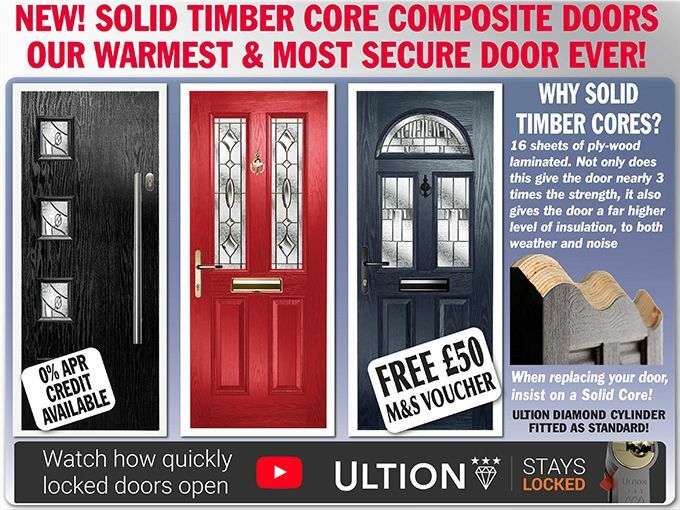 Order now and save on all composite doors in our fantastic Seasonal Sale! Call FREE on: 0800 328 2228. Request a Callback Arrange a Quote.